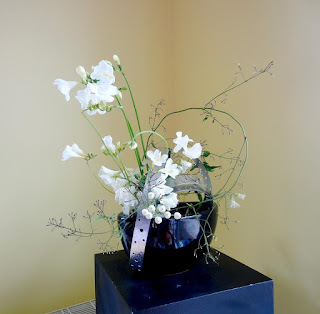 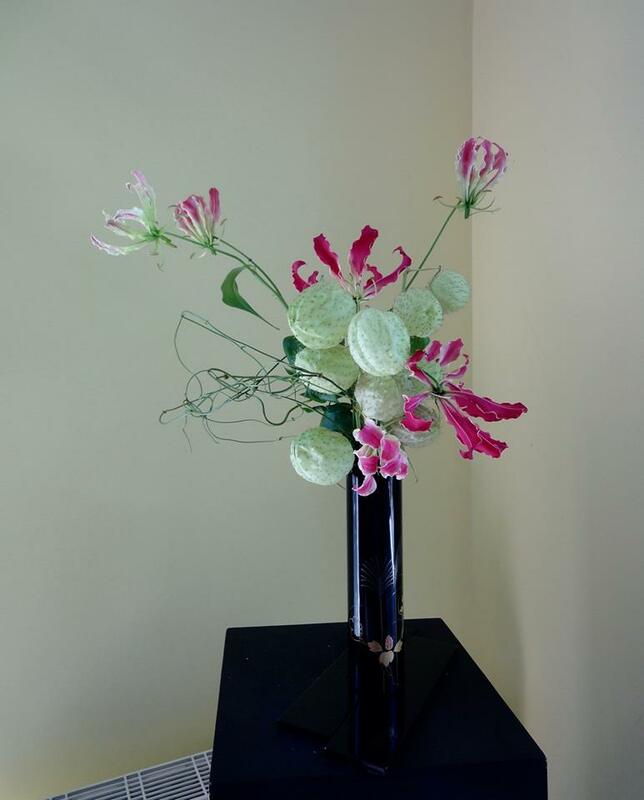 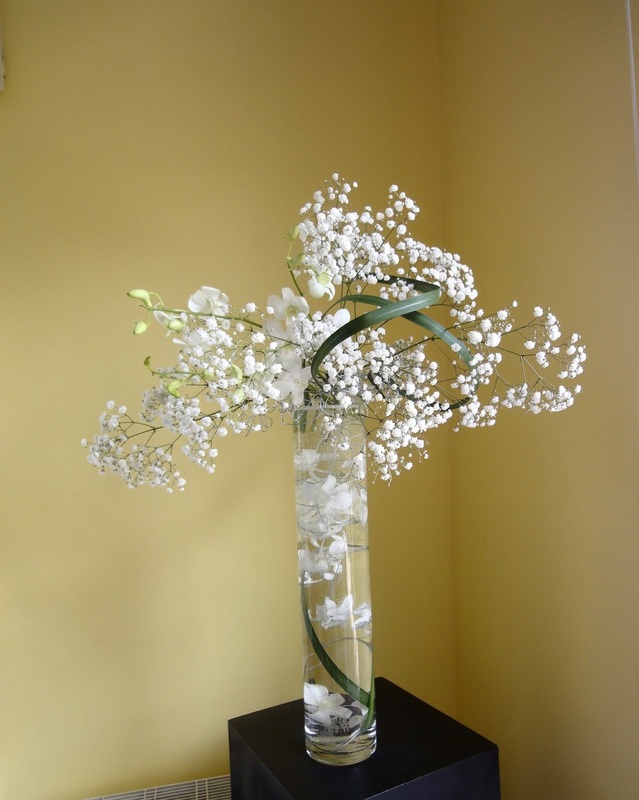 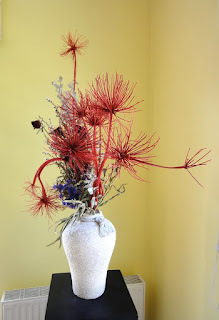 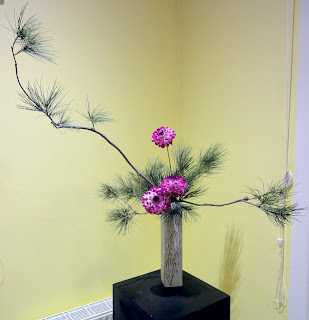 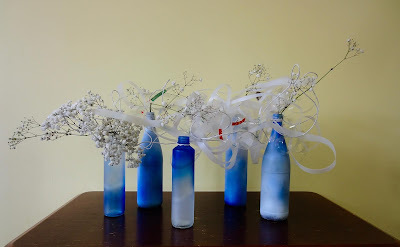 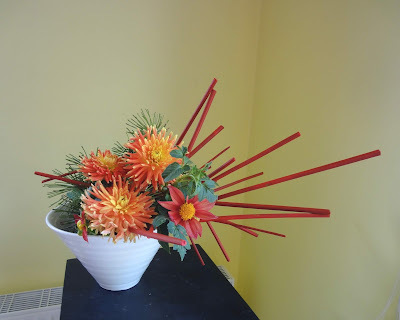 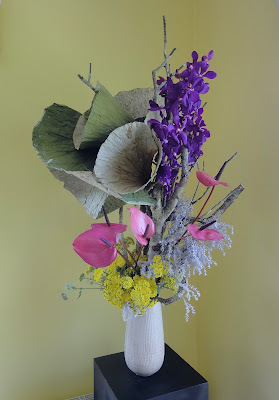 Welcome to an online gallery for Ikebana students all around the world. 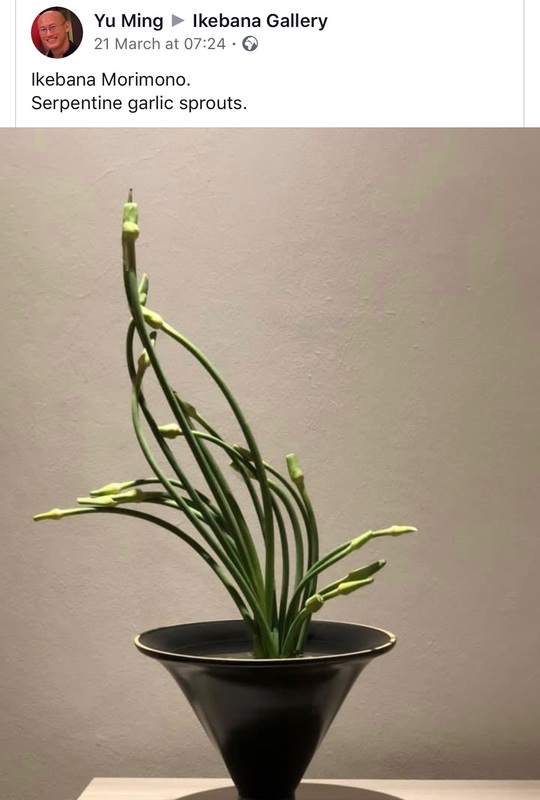 Ikebana Gallery Award: Something special for your CV. 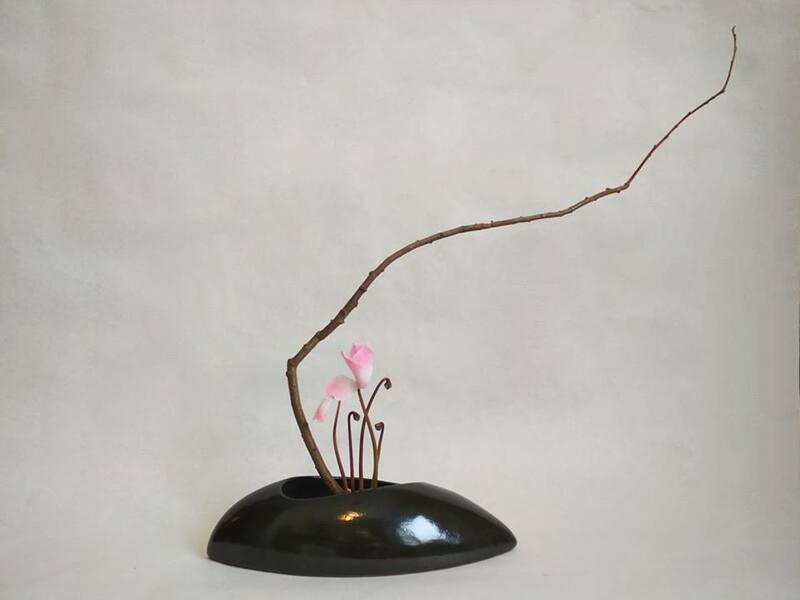 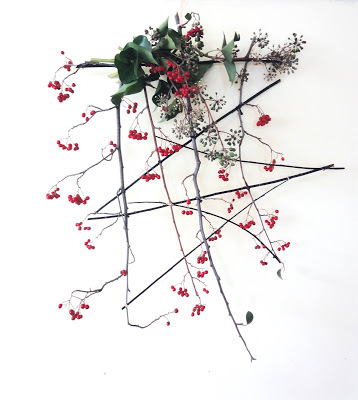 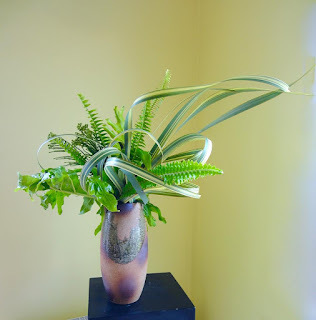 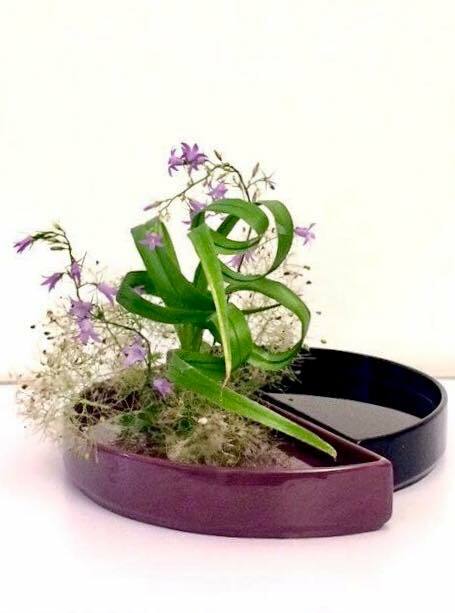 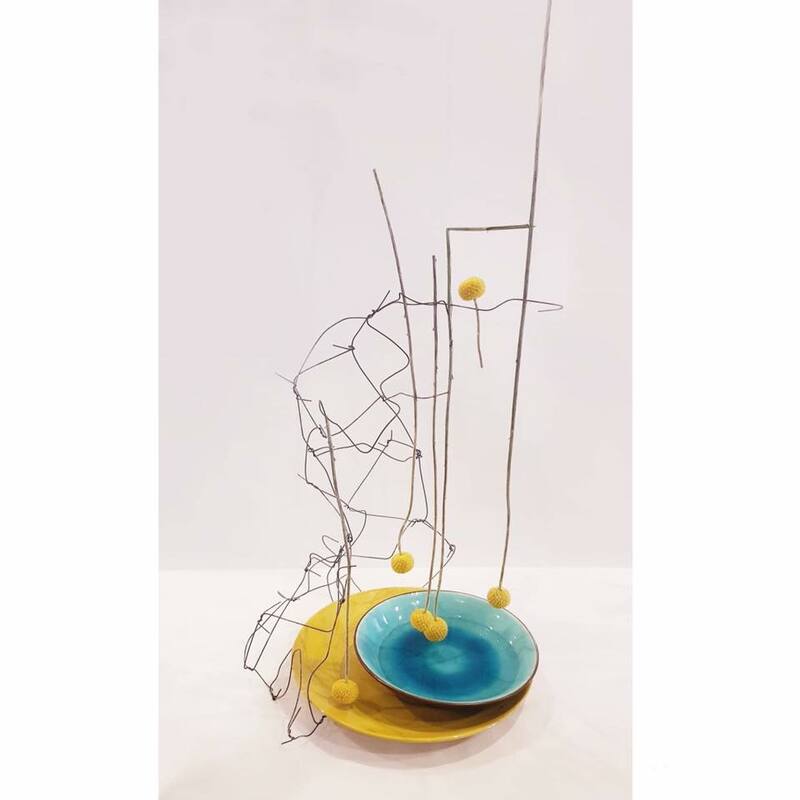 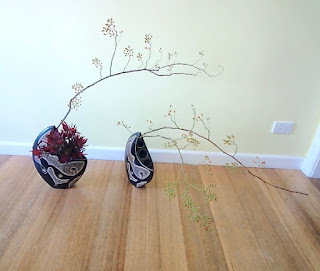 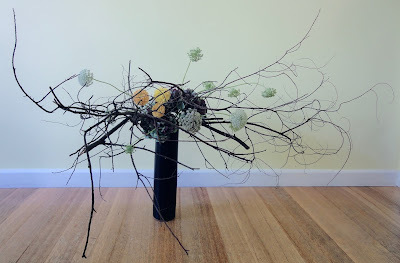 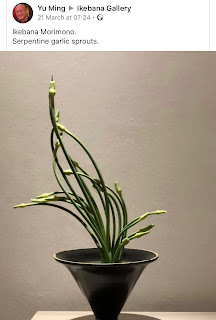 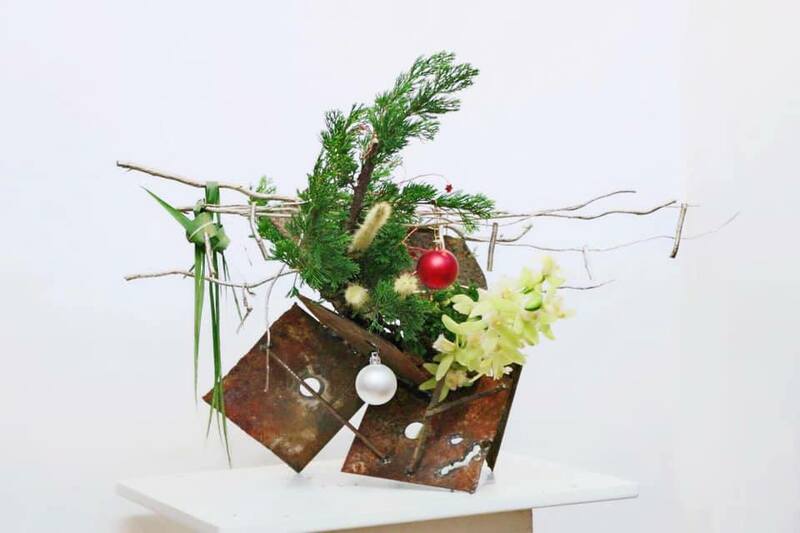 Ikebana Gallery Award 2013: Free style by Irene Killalea, QLD, Australia. 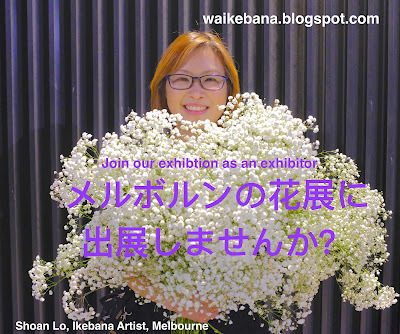 Ikebana Galley Award (IGA) is looking for two new committee members. With our world class judging panel, IGA needs to further expand its presence in social media and its capacity to reach more Ikebana students around the world. The positions are volunteer base and there is no remuneration. The Committee's job includes helping select semi-finalists for the IGA and maintaining and updating the IGA Facebook page regularly. 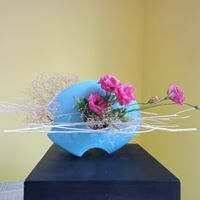 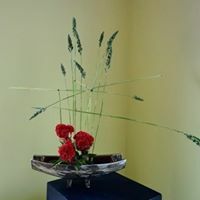 Please send your CV with your Facebook account information to ikebana.gallery@gmail.com by 30 June 2019. 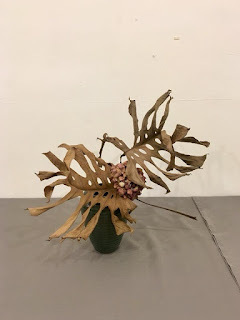 I tried to explore the use of randomly found materials on the floor in the public space. These were to be used as a starting constraint for the different pieces. 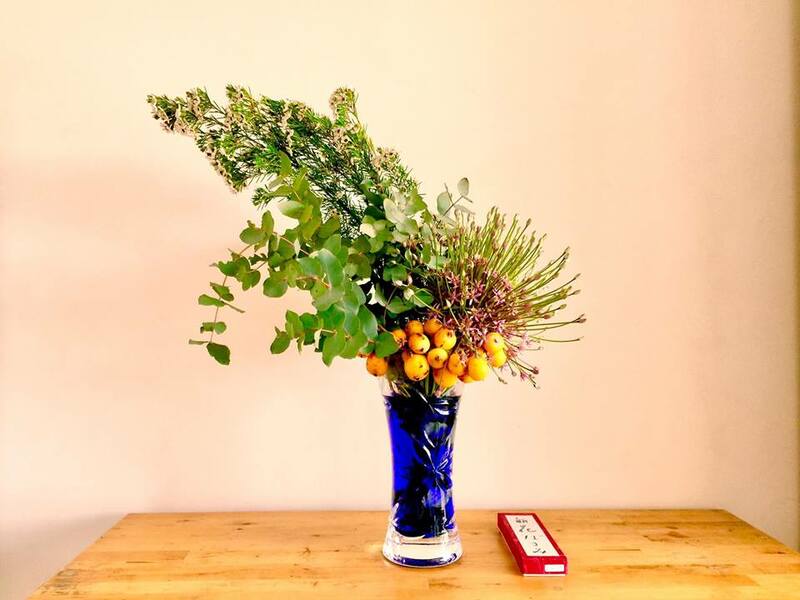 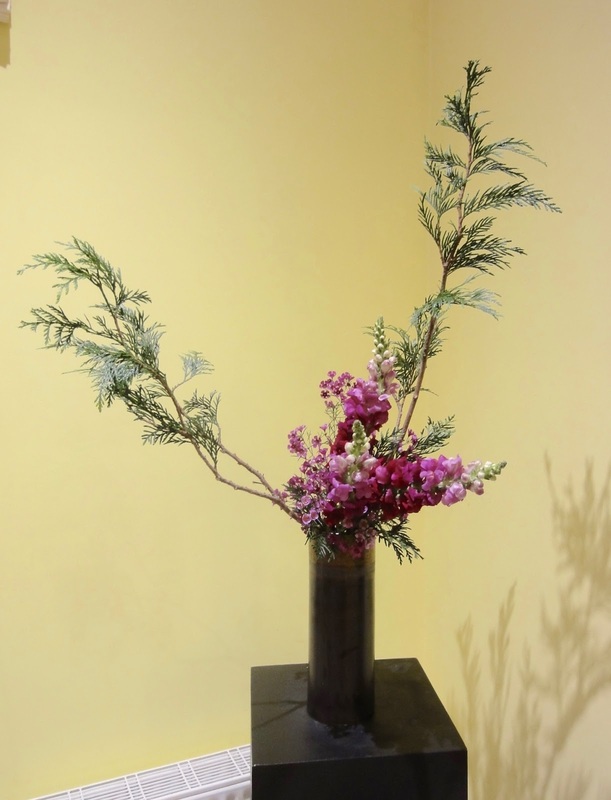 Comment: Impulse (or movement) is one of the best things about spring we can show in ikebana. To express movement and reveal spring vigor, these willow branches were arranged facing the same direction. 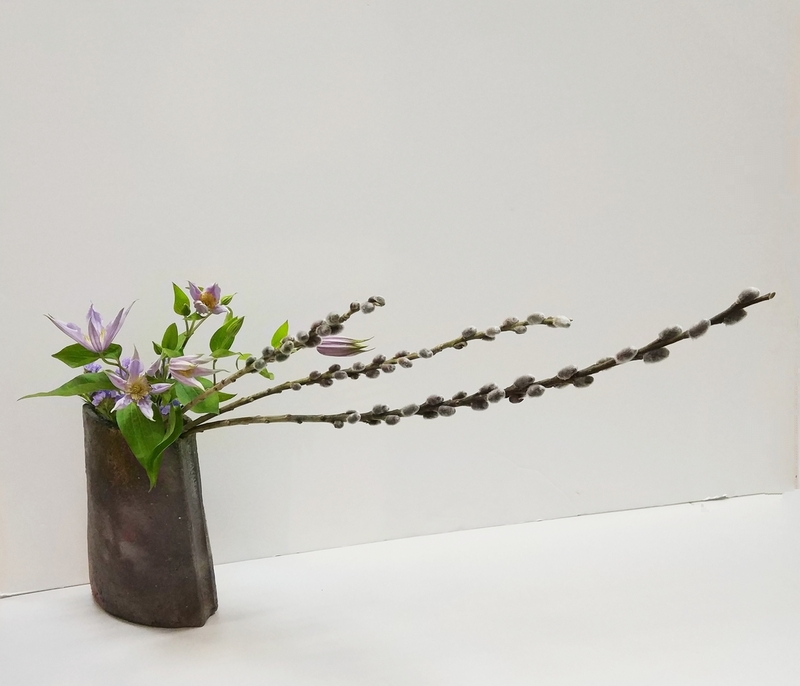 And their strength is emphasized by some delicate clematises and sea lavender. 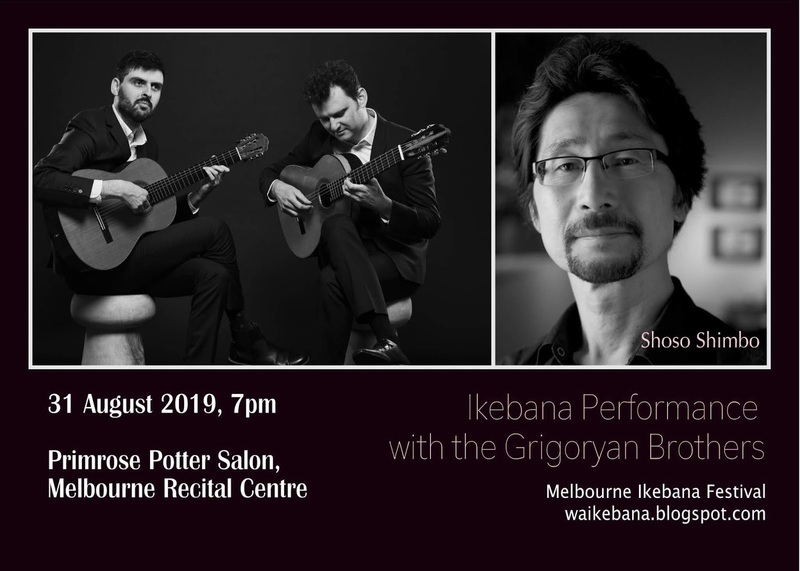 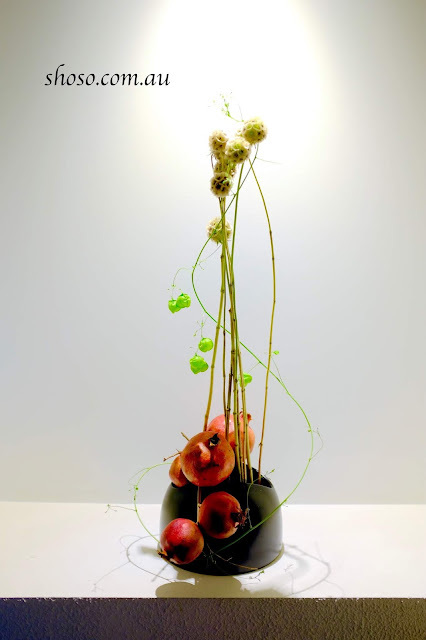 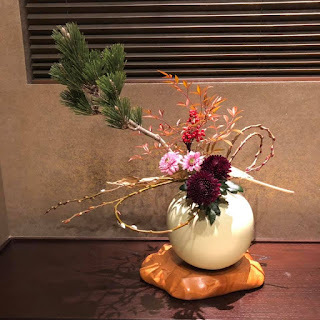 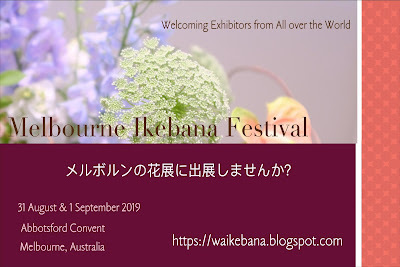 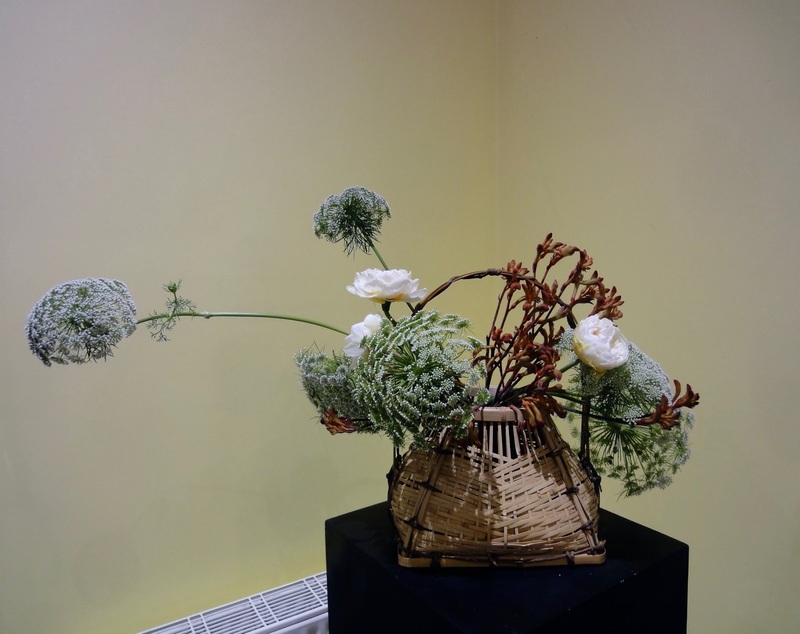 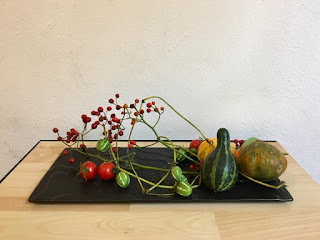 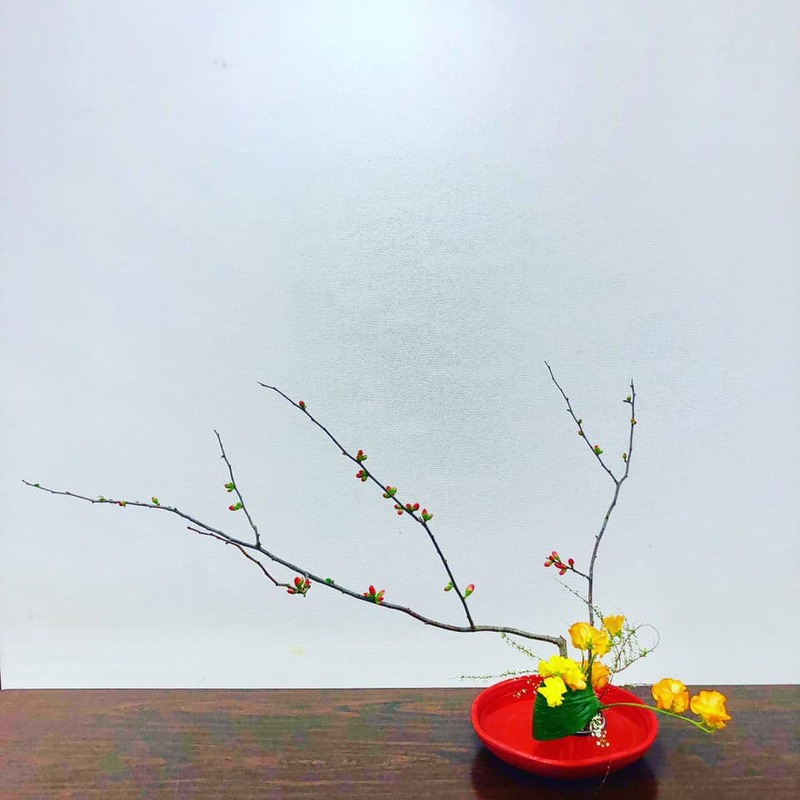 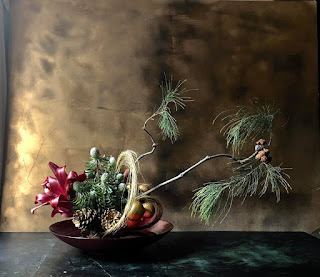 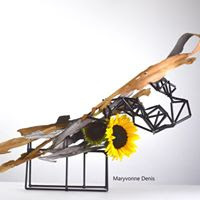 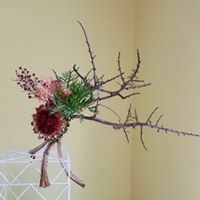 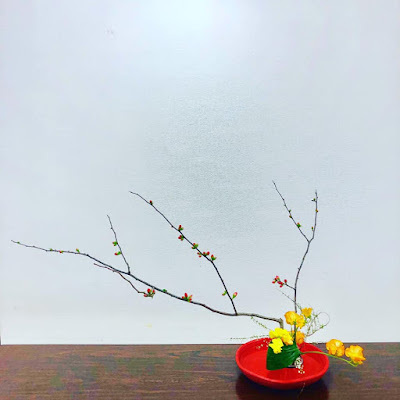 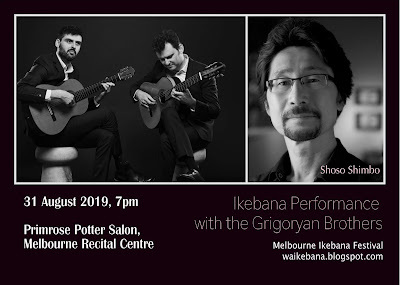 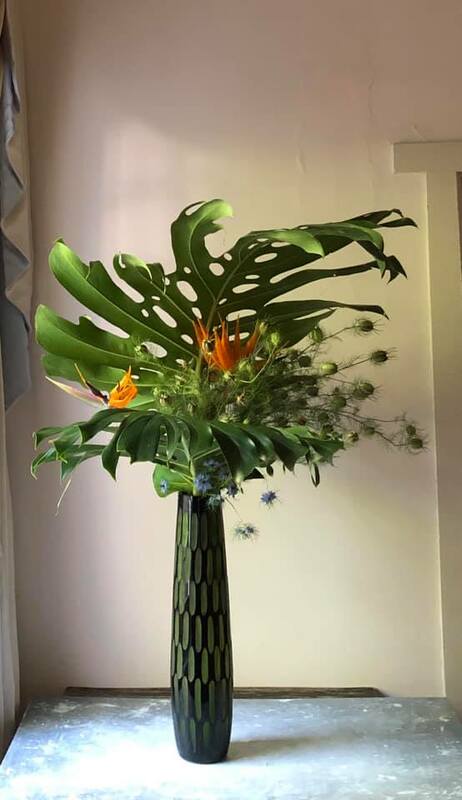 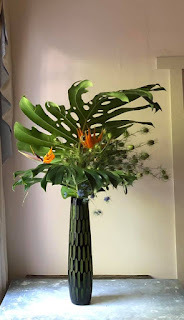 Wa: Melbourne Ikebana Festival 2019 welcomes exhibitors from Japan and other countries. 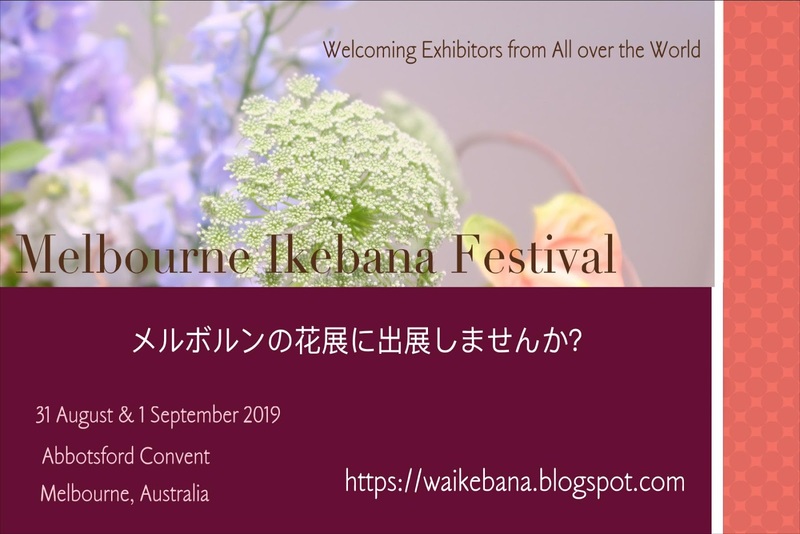 We are going to announce semi-finalists for the Ikebana Galley Award 2019 quarterly. 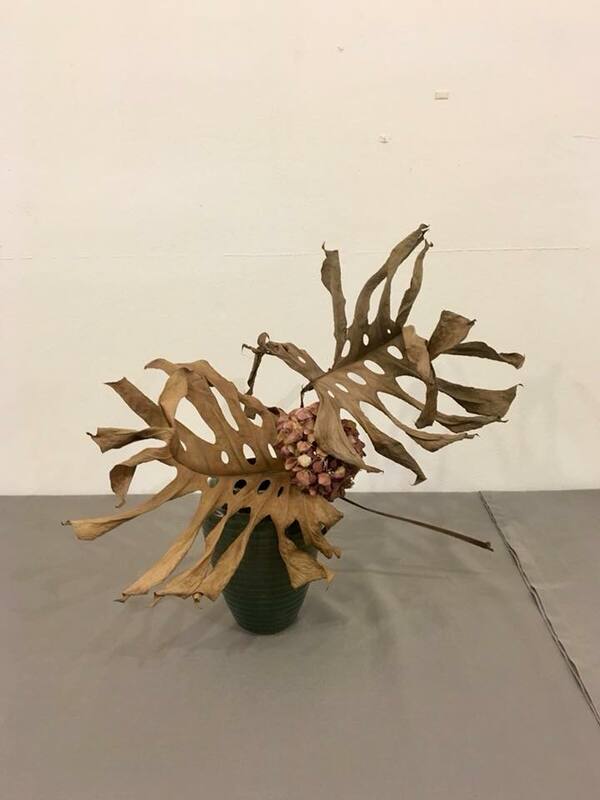 The Ikebana Gallery Award Committee is pleased to announce that the following 10 works have been selected as semi-finalists for the period from October to December 2018. Sophie Ye from Shoso Shimbo' class, Melbourne Australia. 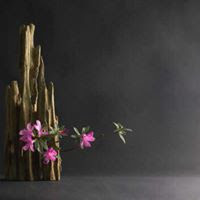 We are going to announce semi-finalists for the Ikebana Galley Award 2019 quarterly. The Ikebana Gallery Award Committee is pleased to announce that the following 5 works have been selected as semi-finalists for the period from July to September 2018. 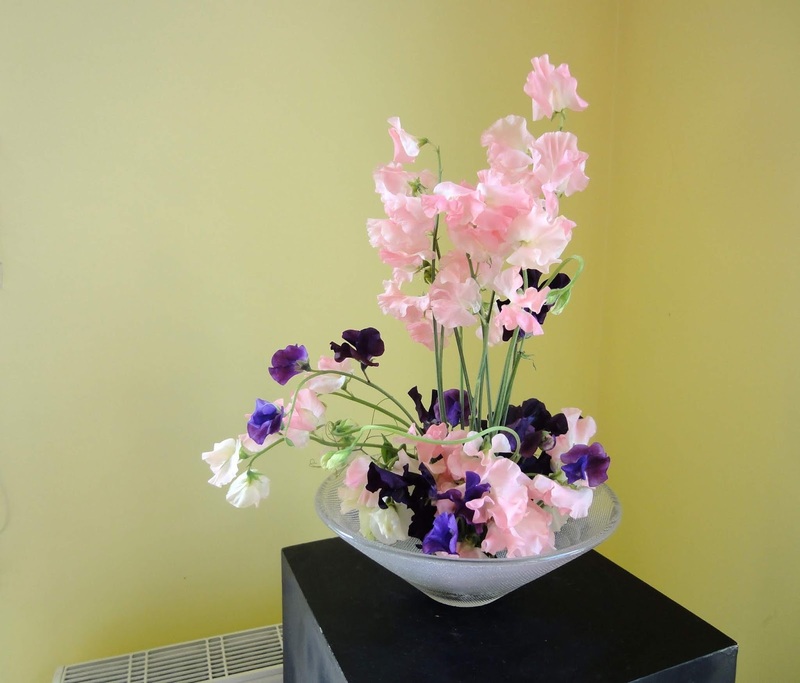 Congratulations to the students whose works have been selected for the semi-final. 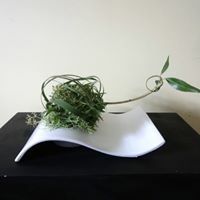 If you have not sent us your details and a list of materials for your work (check our Award page http://bit.ly/ikebanaaward), please contact us soon, ikebana.gallery@gmail.com. 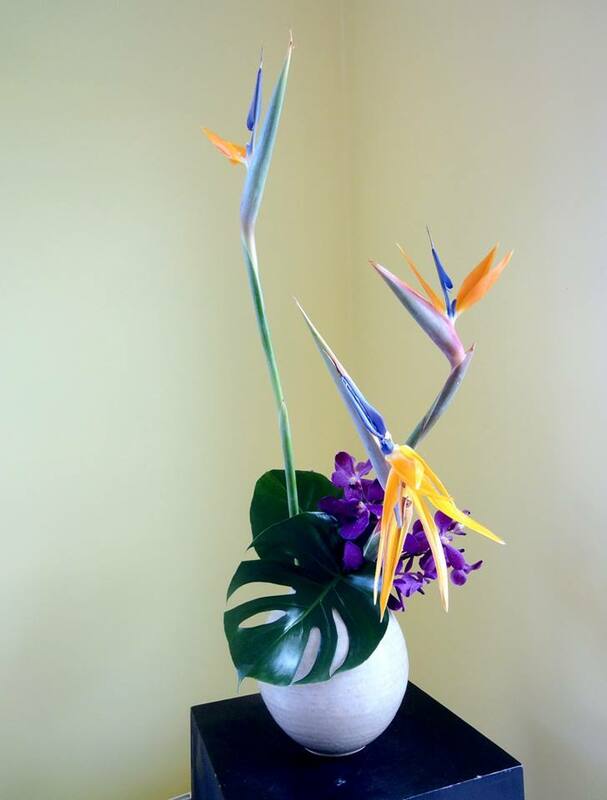 Please also contact us if you have been selected but you are not eligible for this award. If we don't hear from you, your work may not be considered for selection for the finalists.